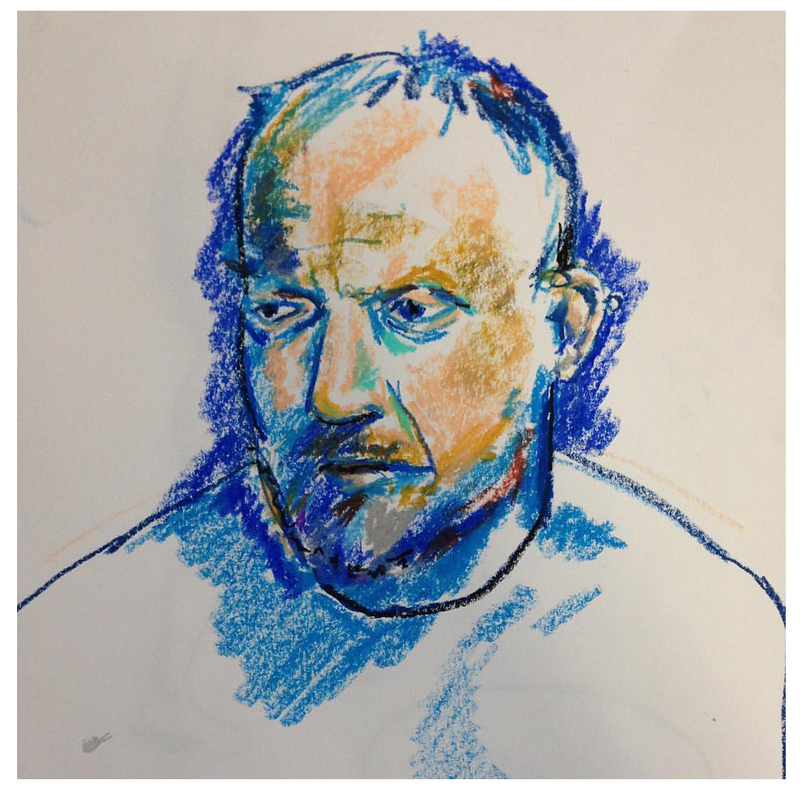 Among the things I enjoy seeing posted on Twitter are illustrator’s roughs for the projects they are working on. I’ve always been curious to know how other illustrators develop their work because everyone’s process of working is unique. These initial character sketches and pencil outlines sometimes give you a hint of that process and would have mostly gone unseen in the days before social media. 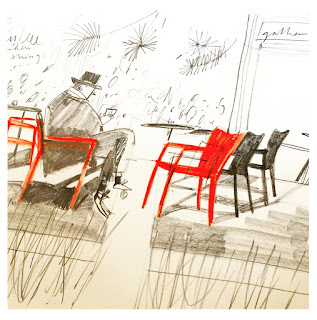 Recently my attention has been drawn to posts that have included observational drawings, city scenes or landscapes and even life drawing, all of which appear separate from work projects and made out of studio time. These drawings are often accompanied by a text or a title alluding to the illustrator being on holiday, travelling or simply having a few minutes to spare in a coffee shop or killing time on a station platform. Some of these drawings are superb! Hannah Warren - Montenegro Sketch book and "Black Lake"
I have always drawn (well ever since I can remember anyway) and when I visit schools today I often tell the children that I have been practicing my pencil skills since I was first born. (I draw a baby version of myself to illustrate this). 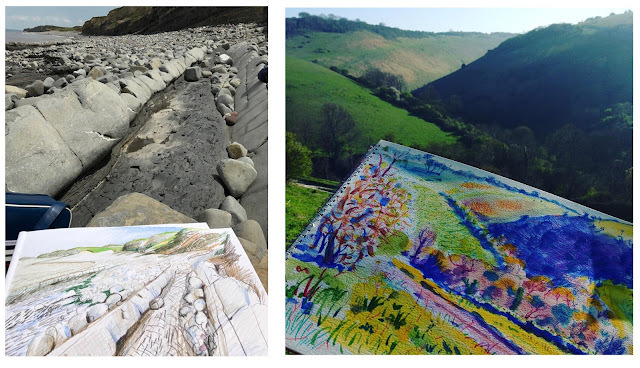 So when I studied painting at art college it wasn’t a challenge for me when the tutors encouraged the students to carry a sketchbook with them at all times because I already did and still do today. So, when I’m travelling or going on holiday, my bags always include drawing equipment and sketchbooks, which appear before swimming trunks and passports on my packing list. He was right, of course, in some ways. Drawing on a hillside, there are no deadlines, art directors, editors, sales team or authors to consider. No one was going to suggest I use a different colour or change the eyes on the cows from circles to dots. 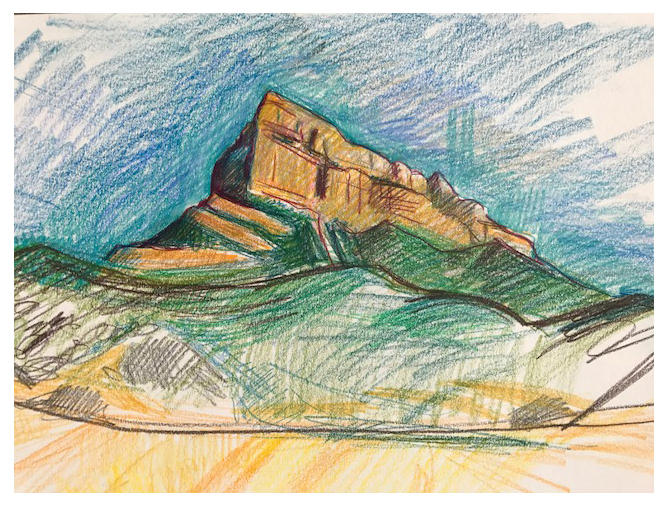 What there is, though, is a quiet joy in just sitting and drawing what you see, especially on a warm evening in a beautiful place with another artist, even if they are just seven. But, despite having carried a sketchbook with me most of my life and always feeling the urge to sit and draw, this was the first time I’d really considered what it was that actually compels me to do it. And it’s a curious question to ponder. I can come up with many different answers, most of them valid in some way or other, but what it really comes down to is feeling a sense of ease through drawing what you see. It’s like a necessary nourishment that’s unique and personal. Garry Parsons - Santa Cruz de la Serós and Luz-Saint-Sauveur. So after my son’s encouraged revelation I made a mental note each time I spotted a landscape or holiday sketch posted by an illustrator on Twitter to ask them the same question, what is it that motivates them to continue drawing “out of studio hours” when probably, like me, they spend most of their day drawing anyway. 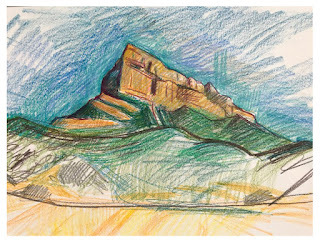 Guy Parker-Rees told me: “I love drawing and painting landscapes when I have the time and I go life drawing every week. Life drawing is the very best way of keeping that loose connection between eye and hand. I love the freedom to let go and experiment when doing my own work. No brief, no deadline, just enjoying the process. I'm sure it always feeds back into my illustration work: it's a way of trying things out, maybe using different media or techniques. I’ve seen some beautiful work worthy of high praise from many other illustrators too, Adam Stower and Thomas Docherty to name a couple. 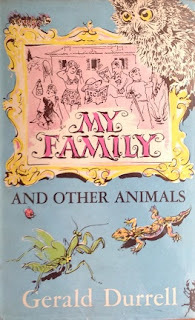 Wonderful artists with acutely refined drawing skills, the depth of which just might have been concealed within the confines of picture book characters or a commercially designed illustration job but glimpsed in these “out of studio” works. So if you enjoy a good drawing, these are well worth looking out for on your Twitter feed! But now I’m left wondering if authors do this too? Do they sit on the beach on holiday in Minehead conjuring poetry, psalms or haiku just for pleasure? I’m curious! 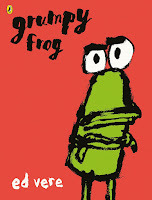 “What’s your favourite picture book?” Argh! That’s such a tricky question. Is it a favourite picture book to share with children? 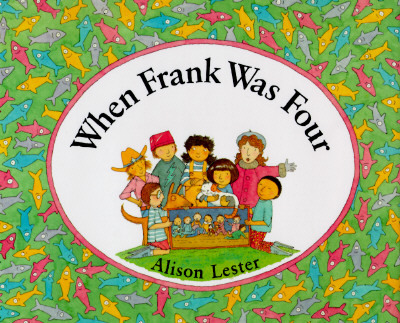 Or a favourite picture book you enjoy as an adult? 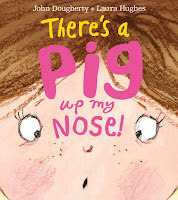 Recently, at a long weekend in the depths of the English Cotswolds, a collection of children’s picture book writers and illustrators shared their answers to this questionable question (and they couldn't pick their own books!). 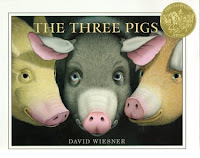 It’s a wonderful way to discover new picture books and see familiar ones with fresh eyes. So I thought I’d share their choices, even if I‘m staggered at some of the books chosen (ha ha, I won’t say which!). The discussions were originally recorded in my scruffy writing in my scruffy notebook. Apologies if I’ve misunderstood anyone and just contact me if you want anything changed. In general, I only included those who are published because although I mentioned I'd be writing a blog post, I didn't ask individuals and those who are published are more familiar with seeing all manner of stuff about themselves on the internet (even nonsense!). Also look out for extra VIDEO LINKS. Later that weekend the talented Candy Gourlay grabbed some of us to talk about our choices on camera (we were totally unprepared – well I was!). The words and pictures come together to create something greater than the individual parts. It starts off lulling you into a sense of traditional security. Then the pig literally blows the pig right out of the visual frame of the story. There are speech bubbles followed by a wonderful word-free journey with a surprise at every turn. A new book which has been stylistically pared back. The lines are out of the ordinary and all unnecessary detail has been removed and the colours are particularly strong. The book removes or plays with the authorial voice and there’s a dialogue with the reader. Mike also sneaked in WE FOUND A HAT by Jon Klassen (Walker Books 2016) because the dialogue between the two characters appealed, and the ethical dilemma is told in a refreshing way. 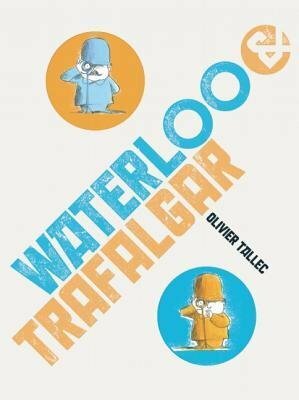 It's great fun though probably a bit of a 'Marmite' book (non-British readers: this means you'll either love it or hate it!). 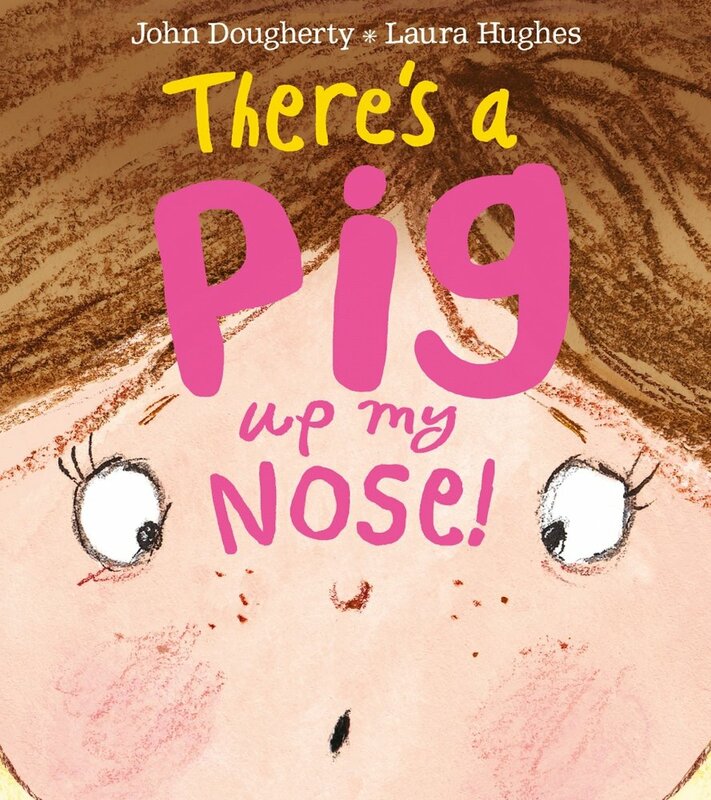 The trotter prints in the illustrations and the very matter-of-fact way the characters accept the doctor's diagnosis of a pig up the girl's nose add to the enjoyment. 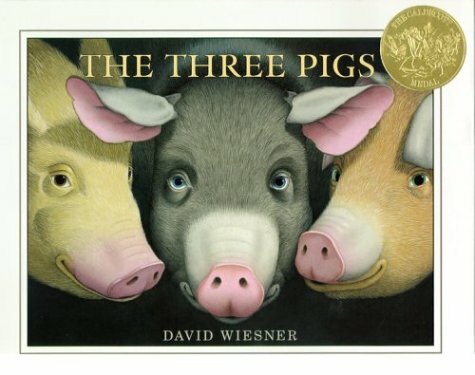 The oink repetition is fun to repeat by a child. 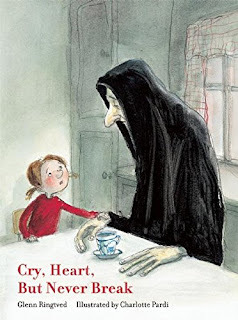 Beautiful and unusual book that is wordless and relies on observational body language. Great characterisation. Adores the cover from a graphic designer's point of view. A story within a story. It was the stunning illustrations that first attracted Rachel, and then she fell in love with Death - he has so much respect for everyone. It's such a strong moment when Death puts his hand over the coffee cup and says now is the time. It was an emotional book for Alison too and she particularly empathised with the intertwining of sorrow and delight; who would enjoy the sun if it never rained? The saturated colour is reminiscent of Matisse. 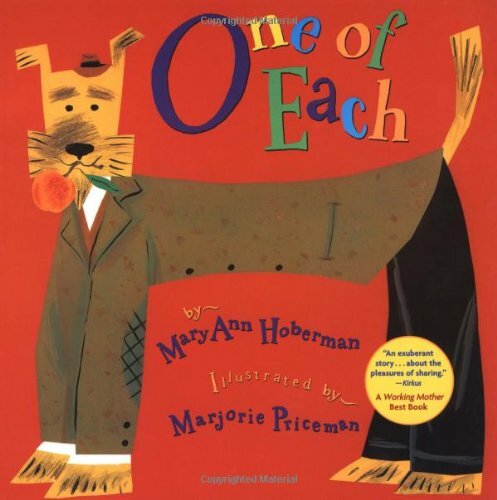 The illustrations work well with the writing and there's a strong rhythm. 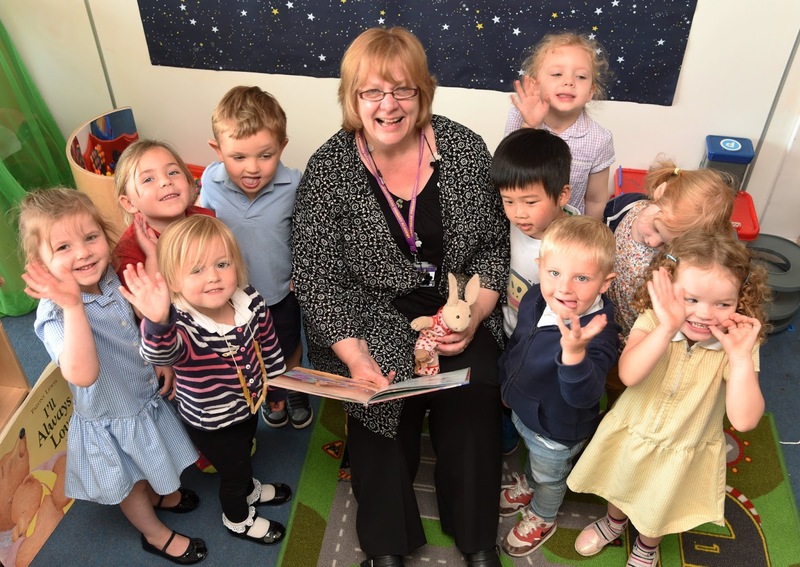 Bridget enjoyed sharing it with her children who found it hilarious. An old favourite. John adores the illustrations but it's the poetic rhythm (not rhyming) of the words that pulls him into the night-time world of the toys. 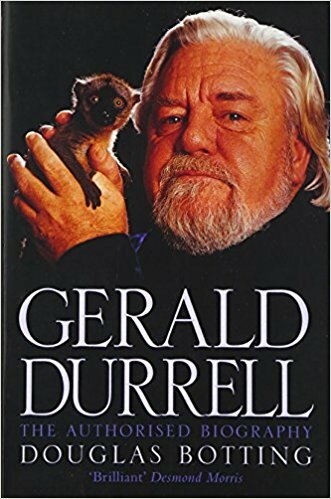 You simply can't stop reading it from beginning to end. A simple story told in a beautiful, poetic way. One of many favourites, Alyana loves the work of American, Saul Bass. 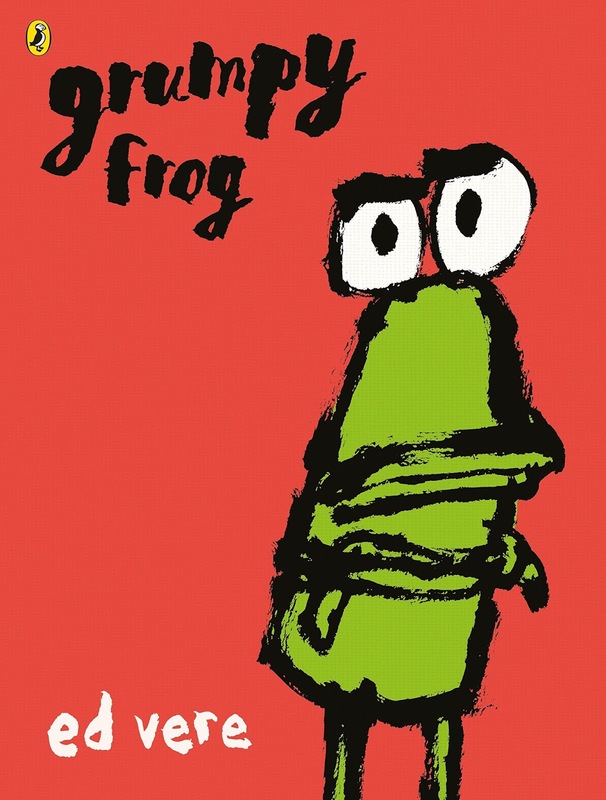 The illustrations are simple, patterned, and use space, colour and typography in an interesting way. 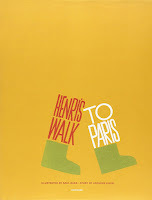 Although the book is about Henri, we never see him, which works well. Plus Bass doesn't use cliched tourist images of Paris. For a book first published in 1962, it looks very contemporary. 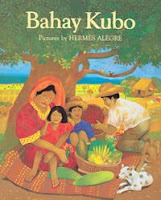 This is a book about real children, to be shared with children. It creates lots of discussion and is not a narrative and breaks expectations of what works in a picture book. 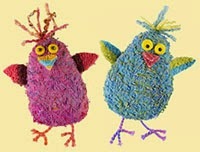 Cath likes the way all the children do one thing, whilst one child does something else, and Cath's children love it. Not in English but we all understood what was happening. This is a traditional folk song that everyone knows in the Philippines. Candy adores the colours and illustrations and picked it because she's especially interested in books that show other countries and cultures that aren't familiar to European children. 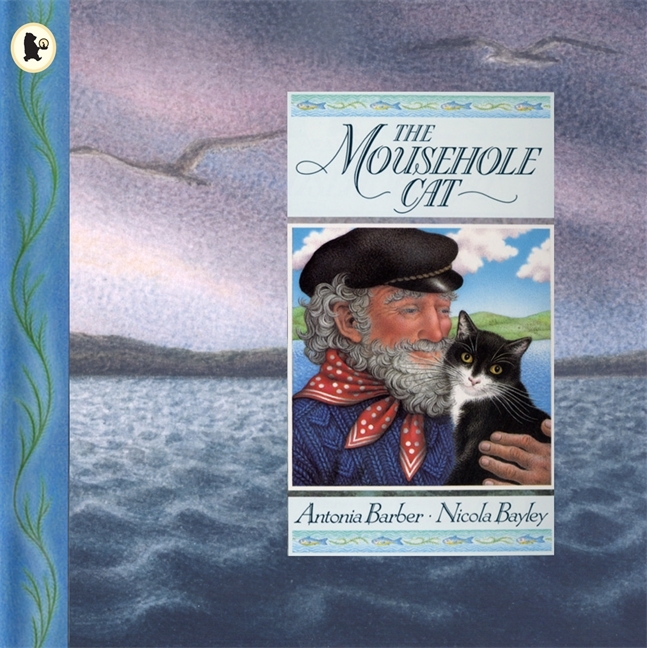 Similarly, writer, Cathy, picked THE MOUSEHOLE CAT By Antonia Barber & Nicola Bayley (Walker Books, 1990) partly because it reflects her Cornish identity and life, her language and places. Also, she feels there's a place for longer picture book stories. A wordless picturebook, although for Clare the attraction is not in the illustrations. Instead it is about the 'whole thing' and the way the book makes her feel . 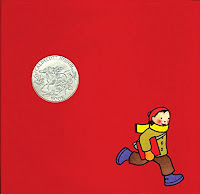 The wordless story is about two lonely children who meet in an extraordinary way. It's a different form of storytelling. 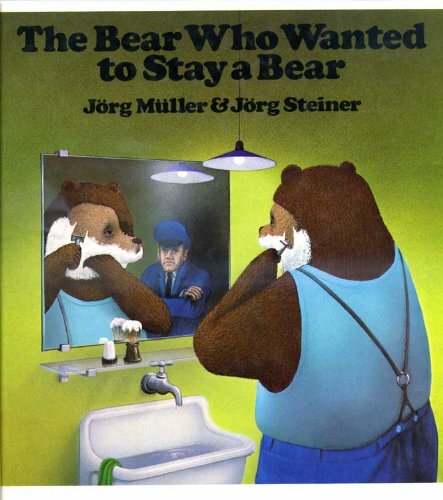 Another book was chosen for the overall way it made the reader feel. This time it was an unusual (weird?!) 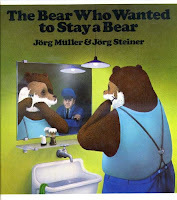 book, THE BEAR WHO WANTED TO STAY A BEAR by Jörg Steiner & Jörg Muller (Swiss), originally published in English in 1977. Chosen by illustrator, Paul Morton, and you can find out more in this general video link. Once again, for him it's not the pictures, or even the writing. Instead it's the feeling you get from the book. Despair with a little hope at the end. 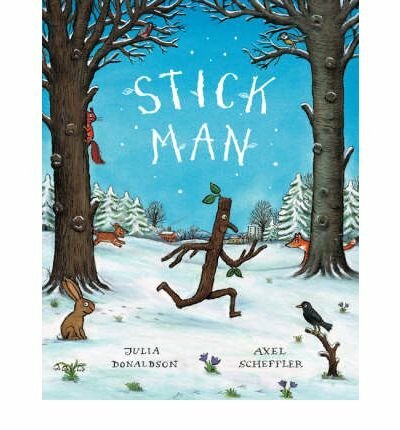 After that book, if you want to cheer yourself up then listen to Gary Fabbi talk about Stickman in the video below. 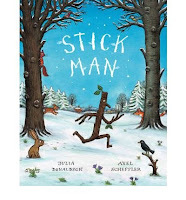 Gary loves reading this 'awesome' story to his children and says there are no other books like Stickman. It's a story about homecoming. Time to squeeze in my book choices. I have two copies: an everyday secondhand copy and a signed hardback in a slipcase. 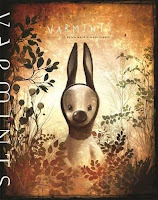 Despite this I hadn't read Varmints in quite a while so if you listen to the video you'll be confused by my chaotic rambling (I panicked and didn't know what to say - which is daft as I can cope with radio interviews!). 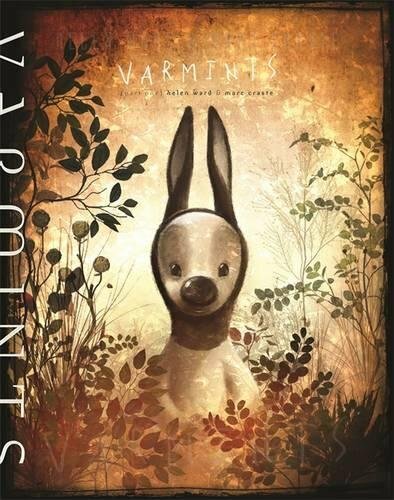 Varmints is a slightly abstract tale about being subsumed by urbanisation and cutting ourselves off from nature. But all is not lost and it only takes one person to nurture a seed of hope that spreads change and the return of bees. 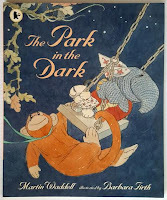 The illustrations are unusual and atmospheric. Sometimes the text is hard to read, which is deliberate as the noise of industrialisation drowns out sound. 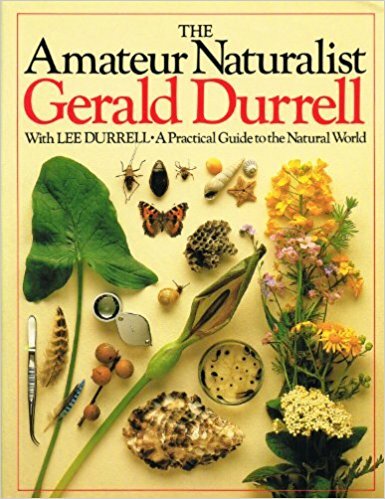 Perhaps it's because my degree is in environmental sciences that this is a favourite? 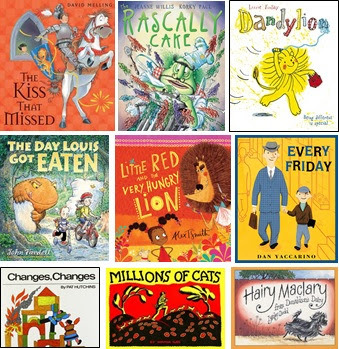 Sadly there's not enough room for all the 'favourites', but here are a few more that other lovely writers and illustrators shared over the weekend. The variety of 'favourites' is staggering. Many were new to me and I found some choices surprising. I think it shows that our personalities and experiences influence our preferences far more than sales hype or academic evaluations of what is 'good'. Plus there's often a difference between our personal favourites (as adults) and the ones we enjoyed sharing with children. For many, 'favourites' are fluid, so often new favourites replace old favourites. I'd love to hear your favourites. PS The long weekend was organised by the SCBWI (Society of Children's Writers and Illustrators), a proactive group that encourages both published and aspiring writers and illustrators. 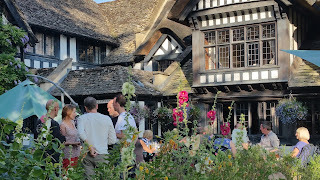 Click picture book weekend for an excellent write-up of the event by Candy Gourlay.